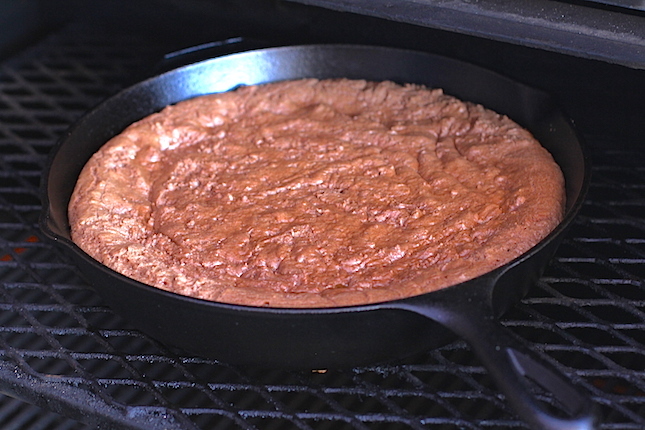 For the cookie: Place the 1/2 cup of butter in a Lodge Logic 8” Cast Iron Skillet over medium heat. Cook the butter until it stops sizzling and begins to brown, about 5 minutes. Transfer the butter to bowl of a stand mixer with the paddle attachment. Let cool 10 minutes. Add the brown sugar and beat on medium high for about 5 minutes. Add the egg, beat to incorporate. Scrape down the sides, then add the Nutella and milk. Mix to incorporate. Add the flour, salt and baking soda. Mix to incorporate, scrape down the sides, then mix again. Preheat your Yoder Smokers YS640 to 400ºF. Press cookie dough into a Lodge Logic 12” Cast Iron Skillet. Transfer to the second shelf of the cooker and bake for about 30 minutes, until the internal temperature in the center is 190ºF. Remove from cooker, and cool to room temperature. Combine the condensed milk with butter in your 8” skillet over low heat until warmed. 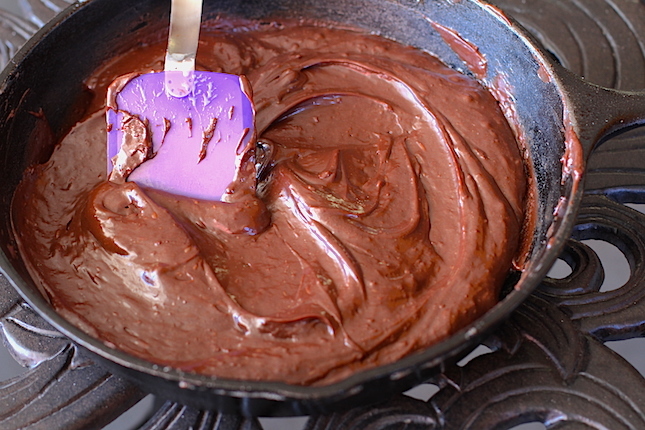 Whisk in chocolate chips and stir until melted. Pour over the cookie. Top with the chopped hazelnuts. Let the cookie set for about one hour. Slice and serve. It’s almost not fair to call it a cookie, because you’ve never had a cookie like this. You’ll forget the semantics as soon as you take your first bite. 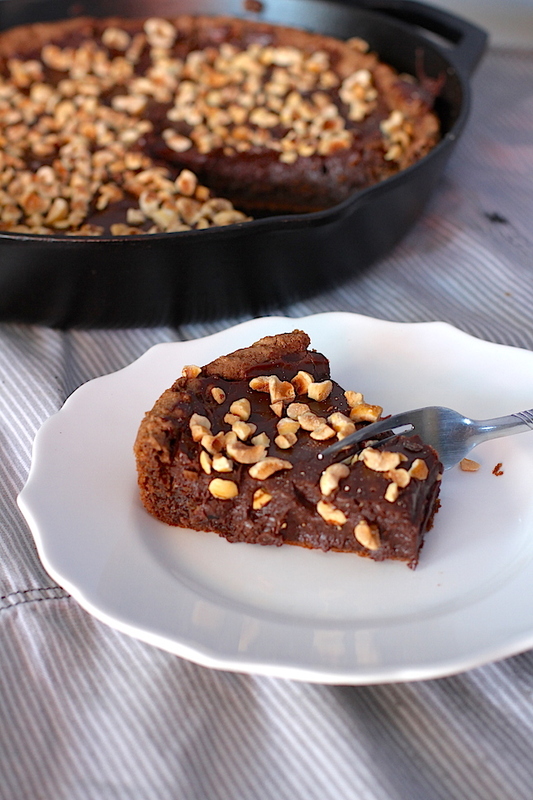 We up the hazelnut and up the chocolate on top of the creamy Nutella base layer to make this skillet cookie Nutella amplified! It’s rich enough that a little goes a long way, so there is plenty to share (or not).